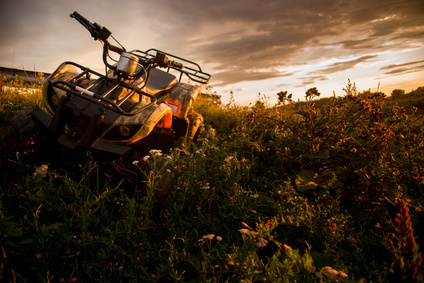 Whether you are looking for salvage ATVs for sale to get started, or have been an avid rider for years, you may not be able to experience the ultimate thrill your ATV can deliver until you take it truly off-road. We present to you, a list of top four ATV trails in the USA, that must be on every ATV enthusiast’s bucket list. Take a look. Dunes National Recreation area, located on the Southern Oregon coast, entails some of the largest expanse of coastal sand dunes in North America. In this area you will find dunes tower up to five hundred feet, paving way to an adrenaline pumping off-road riding. The longest riding area in the region is a stretch between Spinreel Campground and Horsfall Road. The Ocala National Forest, Florida is popular for sand pine scrub forest and natural pools and canoe runs. It, therefore, is a perfect place to challenge your ATV riding skills. The forest offers 200 miles ATV trails along with an 81 miles stretch for off-roading. As this place is accessible throughout the year, you would never fall short of an adventurous ATV trail. Brimstone Recreation, located on over 19,000 acres, amidst the wilderness of Northeast Tennessee is a perfect getaway for ATV enthusiasts seeking ultimate outdoor experience. Brimstone offers long OHV trails with roads offering significant elevation change and water pits to make the riding into the wild even more fun. Paiute ATV trail system, located in south-central Utah, is one of the best ATV trails in America. The trail entails a variety of terrain, ranging from flatlands to peaks, as high as 11,000 feet. The longest trail in the area is 238 miles long, which may take several days to navigate. The best time to go ATV riding in the lowlands of the trail is April, as you may find some of the highest riding area closed until mid-july. All the destinations listed here embody all that an ATV enthusiast can ask for, and a whole lot more. If you are yet to get your hands on your maiden ATV, we, at AutoBidMaster.com, are here to fulfill your dream. Explore our extensive listing of salvage ATVs for sale and register to start bidding on your favorite models. If you wish to learn more about any of the ATVs listed with us, feel free to get in touch with our support desk. You can reach us at +1 (503) 298-4300, Monday to Friday, 6am – 4pm (GMT-8:00).